DIDCOT, UK / ACCESSWIRE / February 4, 2019 / Altus Strategies Plc (AIM: ALS & TSX-V: ALTS), the Africa focused exploration project generator, announces that it has defined a series of drill targets to test the potential of expanding the Diba gold project ("Diba" or the "Project"). 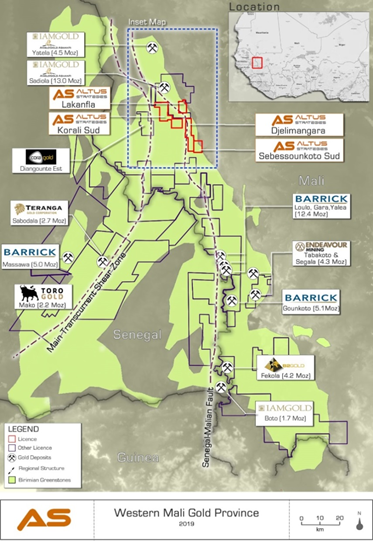 Diba is strategically located 13km south of the multi-million ounce Sadiola gold mine in the world renowned ‘Kenieba Window’ gold belt in the west of the Republic of Mali ("Mali"). 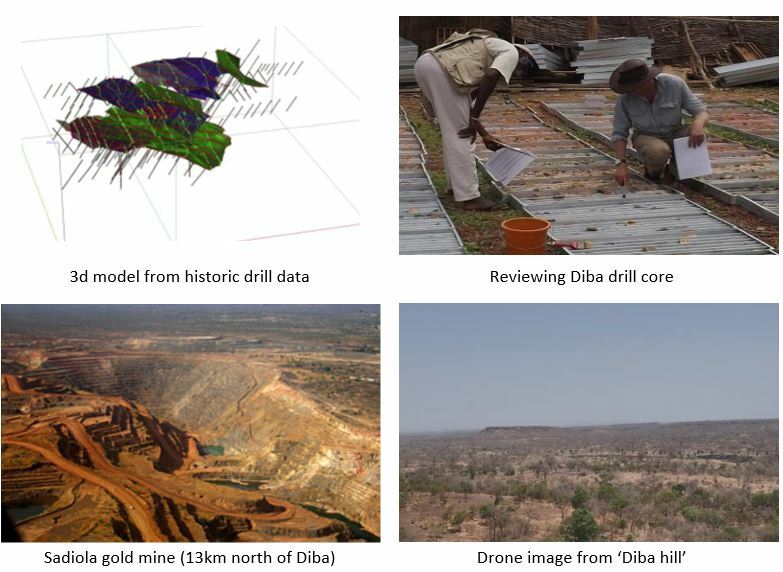 "The Diba gold project is a highly strategic asset, located just 13km from the multi-million ounce Sadiola gold mine in western Mali. Our project hosts a near surface, shallow dipping, historic oxide resource with a number of exceptional drill intersects, including 5.02 g/t Au over 20.0m and 1.85 g/t Au over 51.8m. The adjacent Sadiola mine is reportedly for sale and is expected to have exhausted its oxide feed in the coming months. However, while we recognise that Diba may be a potential source of future oxide feed for Sadiola, we also consider it has significant standalone oxide potential." 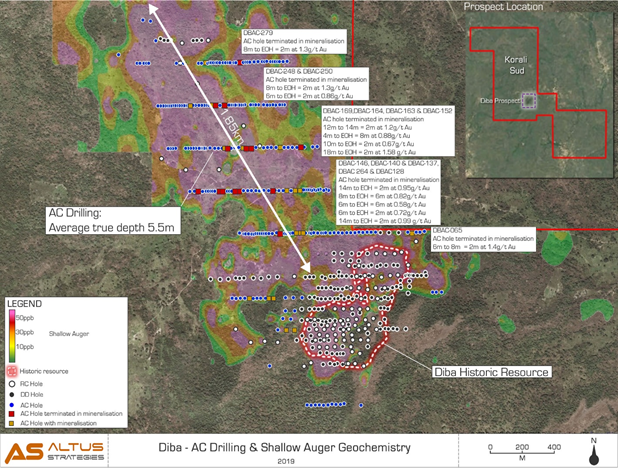 "Our detailed review of the historic data from Diba has defined a number of priority drill targets, which when tested have the potential to increase the existing historic resource. One of the targets, at Diba Northwest, is located within a 2.6km2 soil anomaly immediately along strike and northwest of the current historic resource. Systematic air core drilling of this area only tested to an average depth of 14.7m. However, a number of the holes terminated in gold mineralisation. 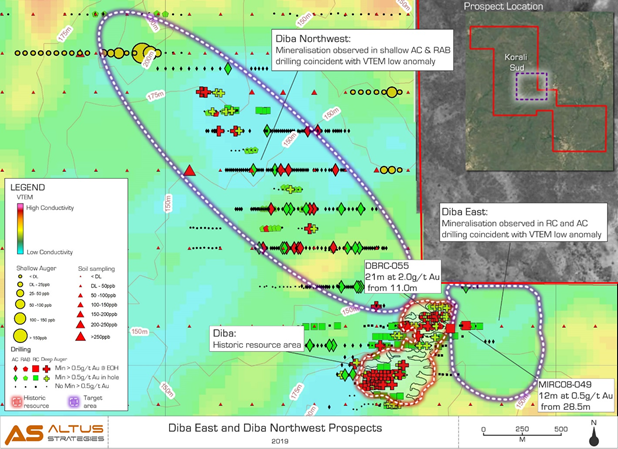 A second, 2km2 target at Diba East is located immediately to the east of the historic resource and is defined by the results from geophysics, air core and reverse circulation drilling." "Altus is currently in discussion with a number of potential joint venture partners and other groups to advance the Diba project, as well as our other projects in western and southern Mali. We look forward to updating shareholders on these discussions in due course." Satellite view illustrating Diba's proximity to Sadiola is shown in Figure 2. The 81km2 Diba ('Korali Sud') project is located in the Kayes region of western Mali, approximately 450km northwest of the capital city of Bamako. 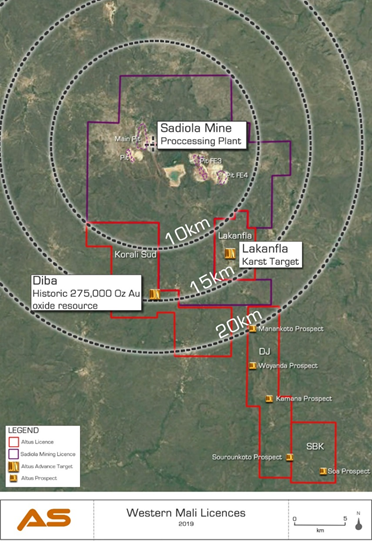 The project sits 5km west of the Company's Lakanfla gold project, approximately 13km south of the multi-million ounce Sadiola gold mine and 35km southeast of the multi-million ounce Yatela former gold mine. Diba is bounded by the Sadiola permit on its northern and eastern boundaries. Sadiola is owned by Anglogold Ashanti (JSE: ANG, NYSE: AU and ASX: AGG), IAMGOLD Corporation (TSX: IMG & NYSE: IAG) and the government of Mali. 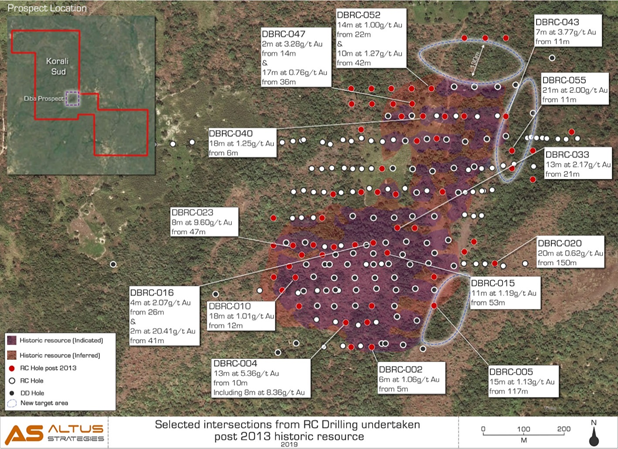 The historic resource was prepared by AMEC Americas Limited in a report entitled "Technical Report and Mineral Resource Estimate Diba Badiazila Gold Property Mali, West Africa", dated June 30, 2013 and filed on SEDAR on 20 September 2013 by Legend Gold Corp. The Company believes the estimate remains relevant and reliable but notes that the following work needs to be done to upgrade or verify the historical estimate as current mineral resources: Commission an independent Qualified Person to produce an updated mineral resource estimate for the Company, incorporating the exploration results received after 30 June 2013. A Qualified Person has not undertaken sufficient work to classify the historical estimate as a current mineral resource and the Company is not treating the historical estimate as current mineral resources. Reference is made to the report for key assumptions, parameters, and methods used to prepare the historical estimate.